Patna (Bihar) [India], July 22 (ANI): The Bihar government has announced reservation in promotions to the Scheduled Castes and Scheduled Tribes personnel in its services. New Delhi [India], Jul 20 (ANI): At a time when a debate under no-confidence motion moved by the TDP against the Centre is in progress, party's general secretary Nara Lokesh on Friday hit out at the BJP Government over Special category status for Andhra Pradesh. 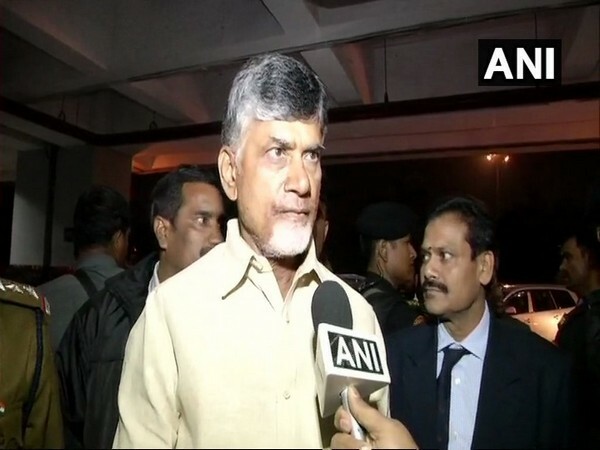 New Delhi [India], June 17 (ANI): Andhra Pradesh Chief Minister N. Chandrababu Naidu raised issues related to Special Category Status (SCS) and state bifurcation, in the NITI Aayog Governing Council meeting being held here today. New Delhi [India], June 15 (ANI): Prime Minister Narendra Modi on Friday interacted with the beneficiaries of the Digital India and said the campaign was started to ensure that more people can benefit from the "joys of technology, especially in rural areas." Patna (Bihar) [India], May 30 (ANI): Rashtriya Janata Dal (RJD) leader Tejashwi Yadav on Wednesday hit out at Bihar Chief Minister Nitish Kumar for 'halting' Special Category Status (SCS) for the state. New Delhi [India], May 29 (ANI): Bihar Chief Minister Nitish Kumar, in a blog, has highlighted various issues impeding Bihar's development and implored the central government for granting the Special Category Status (SCS) for the state. New Delhi [India], May 13 (ANI): The Bharatiya Janata Party (BJP) on Sunday appointed Kanna Lakshminarayana as the new president of the Andhra Pradesh unit, as part of the organisational reshuffling.